This is a new program design by John Stanton to address the program needs of the 50 Plus person or the younger returning athlete looking to maintain a healthy and fit lifestyle. John has designed these new programs, both Fitness Walking and Learn To Run programs, to fully integrate walking and running as a healthy form of exercise with a focus on cardiovascular health. The program is built on the backbone of Johns current programs with the goal to enhance the benefits of walking and running balanced with other activities to result in a well rounded program for daily health and fitness. John is introducing an enhanced focus on health, nutrition and new training programs geared to the returning athlete, the "Active-Aging". These programs introduce a new technique that will make the fitness achievable for the returning athlete. Included in these programs are Johns alternative workouts that compliment a healthy walking or running training. John includes various gym routines which focus on resistance exercise, balance, stretching and nutrition. What's a good way to start a new fitness program? How do you sign up for Active-Aging? 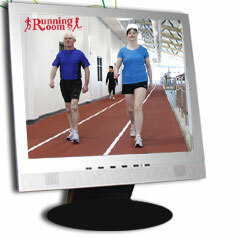 Why should I sign up for the Active-Aging online walking Training Program? Who should sign up for the Active-Aging online walking Training Program? How can boomers safely and easily start a new fitness program? Online Training programs are ideal for those people who wish to take a training program at their own pace and cannot attend at one of our store locations. Only our most experienced instructors teach the online training programs. Take advantage the knowledge of online training program instructors who are committed to the Running Rooms tried and tested training programs. The new Active-Aging Training Programs are now available for sign up. Online training program are ideal for those people who wish to take a training program at their own pace and cannot attend at one of our store locations. Don't forget about the group runs on Wednesdays and Sundays at any Running Room location! With the help of our online instructor and manual you are sure to reach your goal! E-mails and instructions coming from the online program instructors, are only in English. "The way the world learns to Run"
"The way the world learns to Walk "
Copyright © 2000-2019 Running Room Canada Inc., Running Room (U.S.A.), Inc.
Before creating a race, you must first login if you have a profile or set up a profile. One you are logged in you will then be redirected to the Race Form afterwards.